Up until that point, I was seriously still afraid of food. I had been doing my single serving pizzas and my single serving cookies since ending Whole30 in 2016, but I still wasn't completely confident that I could eat REAL pizza or eat REAL cookies and be okay. I was working with a personal trainer who sensed my clean eating paranoia and suggested tracking calories to PROVE to me that pizza was allowed in my life. It was crazy. In the past, I had used tracking calories as a way to restrict myself of food. And now I was using My Fitness Pal to prove to myself I could eat food. 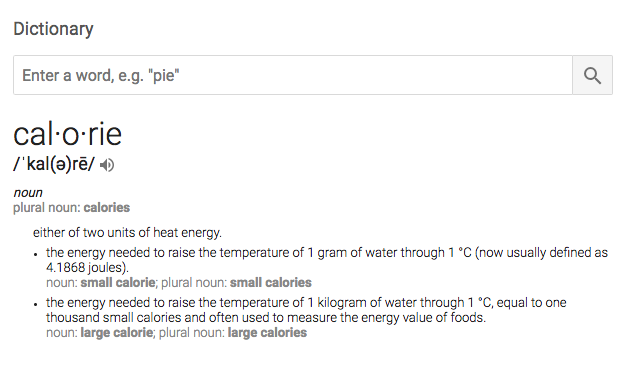 I also started learning more about calories which was previously a no-no word in my vocabulary. Calorie became neutral and not hyped up. I started reading more actual scientific research. I unfollowed clean eating gurus. I learned about energy balance. I surrounded myself (on social media) with people who ate vegetables AND Twix bars. People who were moderate eaters and went on with life not being obsessed with food. Crazy thought, right? So i started writing more about not doing clean eating anymore. I made a post about neutralizing the word calories and a clean eating instagrammer instantly messaged me. “Severely restricting calories will only cause harm to people. You should be encouraging people to eat clean foods and not use calories as the way to eat." I was never encouraging restriction. In fact, quite the opposite!! I was encouraging people to NEUTRALIZE food. To be more comfortable around food. To stop fearing food. To STOP restricting food. When I was clean eating, I was restricting like crazy!!! I couldn't eat anything at my parents' house. I could only go to certain restaurants. I could never hang out with friends. I had to be so careful about food. I had to be obsessed for clean eating to work. I felt bad that I liked to eat garbanzo beans. I'm not kidding. I FELT GUILTY ABOUT EATING HUMMUS. How insane is that? Clean eating was the most restrictive thing I did to myself. Clean eating and placing some foods on a pedestal... thinking of foods as black and white.. THAT messed me up. THAT was restrictive. And you know what happened... after I restricted and told myself I couldn't eat XYZ... give it a few days or a few weeks or a few months... and I binged on those same exact foods like crazy. "Jaclyn, don't eat the cookies at your mom's house. They're full of ingredients you can't read. Don't eat them. They're below you. Don't eat them." 45 minutes later... I just ate the entire package of cookies and now I have to hide the box because I am embarrassed that I was so judgey of my parents' food and then ate alllll of it when my parents can eat like 3 cookies and move on with their life. So.. no, I wasn't even encouraging people to track calories. I was merely saying that it was a tool that I used to stop seeing food as black and white, but it was NOT the way I was going to eat forever. It was a tool I used for a little bit that got me to where I am today: I had banana and peanut butter for breakfast, a dark chocolate kind bar and coffee WITH CREAMER for a mid-morning snack, a giant salad with protein for lunch... and probably pizza and roasted veggies for dinner. EESh. We eat a lot of pizza. It's imperfect eating... and when I allow myself to eat these fun foods, I never feel deprived. I never have to binge because I can eat whatever I want whenever. And I got here by using tools... and I have no regrets. Clean eating did not help me be healthier. Clean eating did not help me trust myself. Clean eating encouraged me to be obsessed and decreased my mental health. It’s time to stop being scared of being imperfect with food. #imperfecteating is where you learn it's okay to be imperfect and still thrive. But that’s relative, isn’t it? Imperfect Eating is unique to your life and your body and your tastes. You're used to a health guru telling you exactly how to eat. Here's how this is different: I am going to tell you exactly how I got from clean/binge to imperfect.. and then I am going to tell you to NOT do my way because then it will be another diet you can quiet. With Imperfect Eating, I am going to support you to create your own way of eating that fits your life.. instead of taking a way of eating and trying to change your life to fit it. Older PostAre you a member of the clean plate club?? ?